Transform any bar area into an inviting place filled with sophistication, elegance, and undeniable style with a custom stone counter. Stone counters are not only aesthetically pleasing, but stone is extremely durable and easy to clean and maintain! 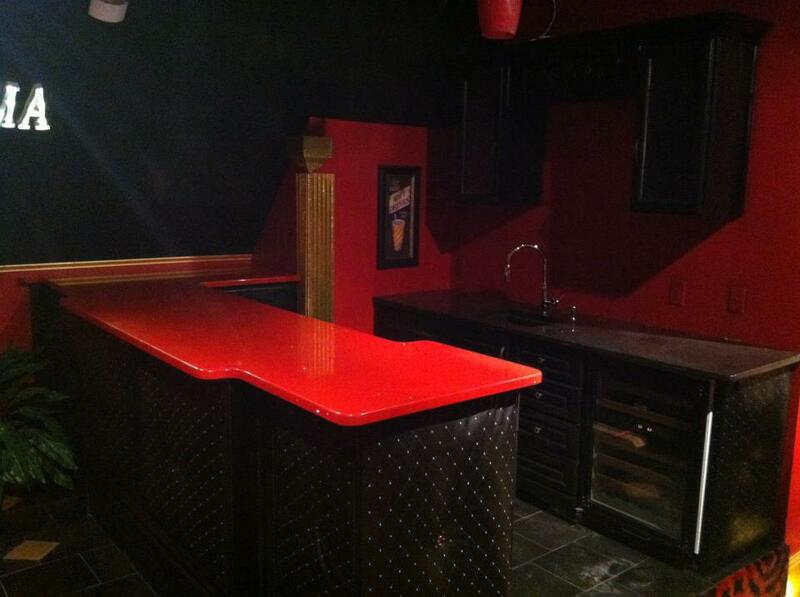 From high end luxury commercial projects to even the most discriminating home owners, Granite Countertop Warehouse has supplied some of the most unique and expertly crafted and fabricated bar counters available today. Whether you want a classic, traditional look or a contemporary, cosmopolitan bar area using exotic granites and engineered stone, our bar counter designs are customized according to your vision and your exact specifications. At Granite Countertop Warehouse (GCW), our professional and experienced designers are available to assist you with your project. They can help with suggestions, design tips, and decorating ideas, while staying within your budget. If you would like to speak to a member of our design team, simply give us a call at 404-592-5599. Our granite design center is the perfect place to discuss the many options available and to view our incredible selection of over 4000 slabs and over 150 colors.